Samantha Sauceda is a student at Palo Alto College. This is her second year and is working on getting an associate’s degree in Biology. She plans to pursue a degree in Physical Therapy, focusing on burn victims, at Texas A&M Corpus Christi or Del Mar College. Sauceda herself suffered from second and third degree burns on her arms and part of her face during a fire in 2002. Her house caught on fire while her mother, sister and she were still inside. Everyone was safe, but Sauceda was the only one who received burns. During the next couple of months, Sauceda went though different surgeries to recover mobility. They stayed at the Ronald McDonald House in Galveston, and within five months, they were living with her aunt in Corpus Christi. Around 2003, she was finished with all her surgeries and just had follow-up appointments every year. Sauceda is originally from Alice, Texas, a small city two hours south of San Antonio. She moved here two years ago to attend school. “I didn’t really want to go to a big university, and my aunt had just moved over here… so she let me live with her,” she said. Sauceda said that San Antonio is different from Alice. “We have one hospital, but it doesn’t treat anything major, so if it’s anything bad, you’ll have to go to Corpus,” she said. 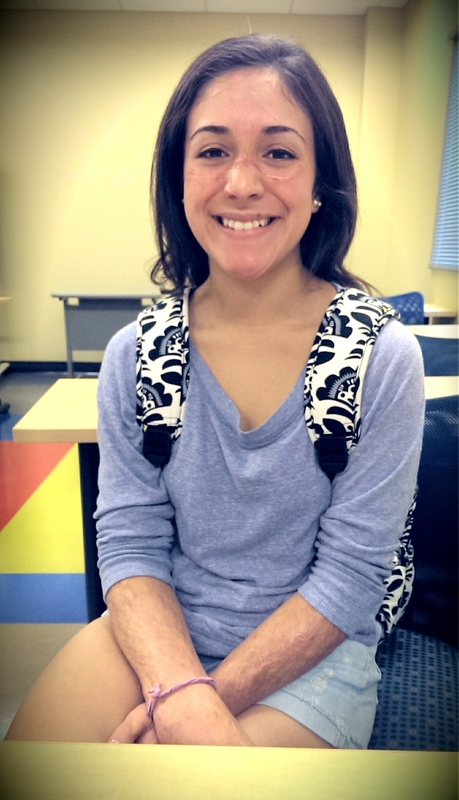 Sauceda likes Physical Therapy because it focuses more on muscles and bones, and she would like to work at Shriners Hospitals for Children in Galveston.